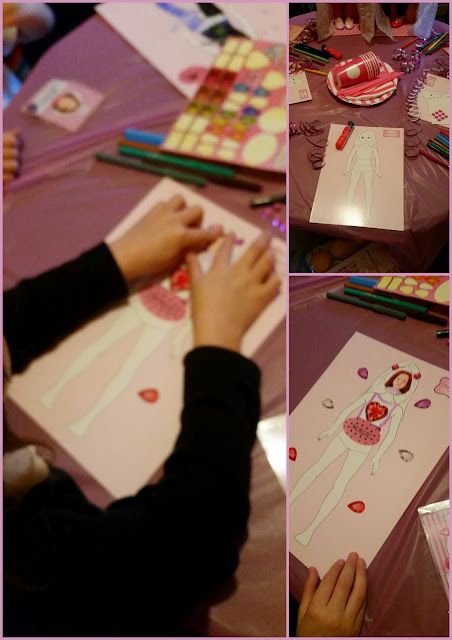 Mummy Of 3 Diaries: Our #DesignAFriend Party Was a Huge Success. Yesterday was party day for us here and wow what a party we had. 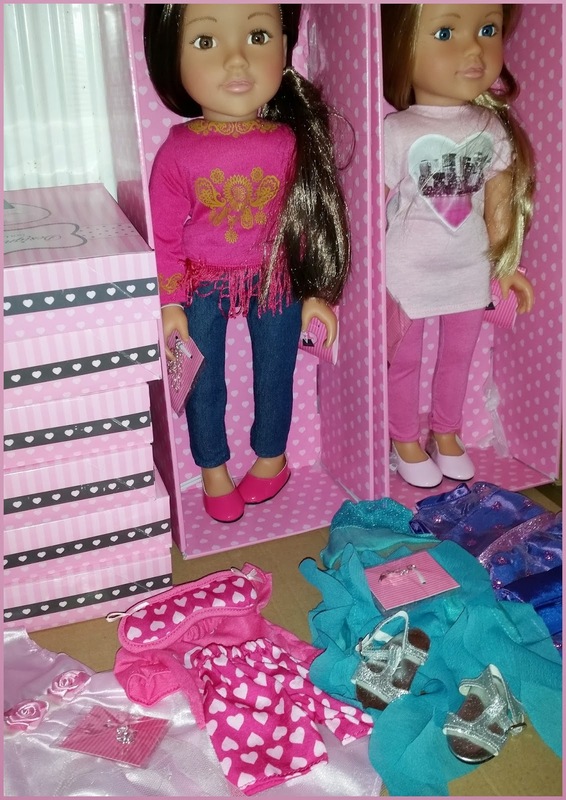 The Design a Friend dolls were a huge success with all the girls, it was 'dress up' heaven here. 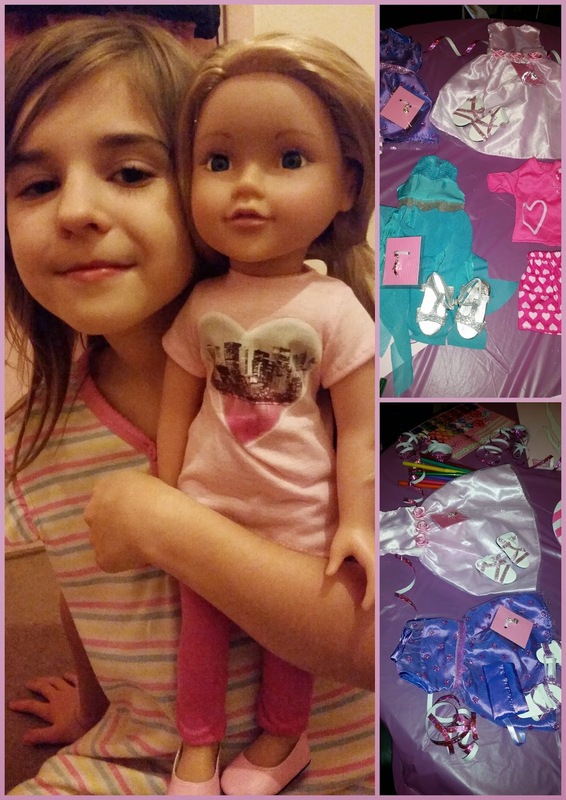 There was two beautiful dolls for our guests to play with along with a lovely selection of outfits. Everyone had lots of fun dressing them up and doing their hair. It wouldn't have been a party without fun activities and games to play. We coloured our very own Design a Doll sheet and created our very own styles and looks. We were missing the clothing sheets from our party box so we improvised and drawn on our own. We also made our very own Design a Friend Club Cards which was lots of fun. The girls could pick a dolls face which they stuck onto their pass before I laminated it into their very own Club Card. I think the girls really loved doing this activity very much. 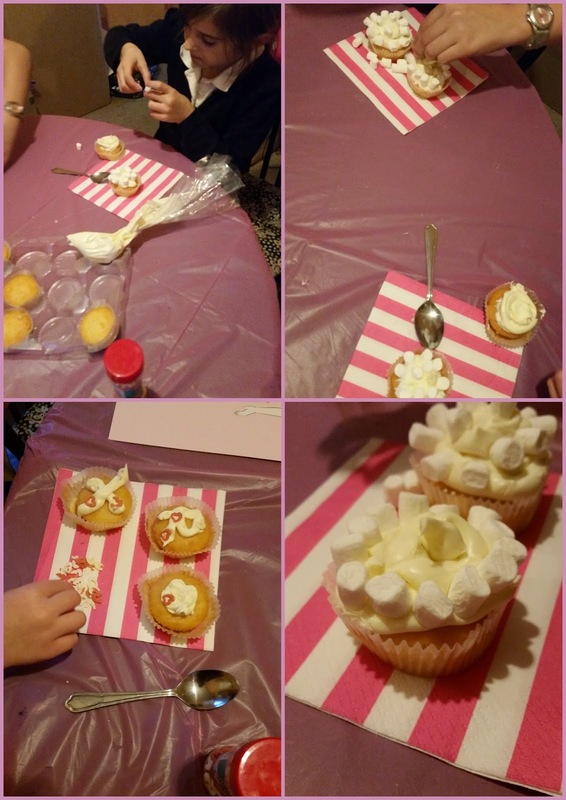 We decorated cupcakes using delicious vanilla icing, marshmallows and coloured sprinkles. Cupcake decorating always goes down well at our parties, it's just so much fun to do and of course it means there's lots of yummy cupcakes to then be eaten too. There was slots of party food, there was mini pizzas, mini quiches, hot dog sausage rolls and chicken tikka on sticks. There was a lovely selection of treats for everyone to enjoy. 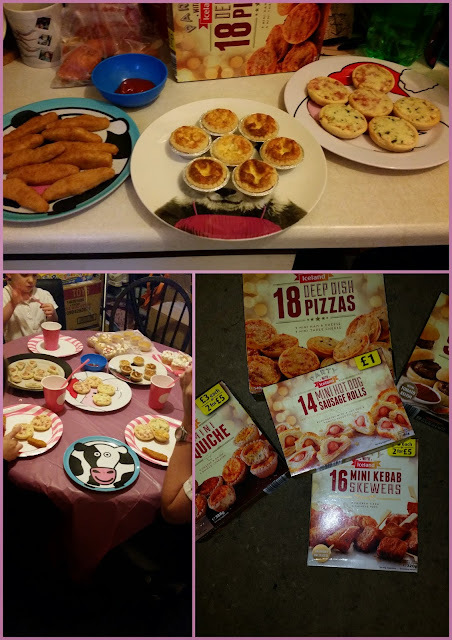 As you may notice from the pictures, I went to my local Iceland to get our party food but I am not promoting them in any way, I just like their party food range. We played Pass the Parcel which was lots of fun. The children won little prizes like Loom Band sets, Cuddly keyring toys and Craft sets. The main prize was a gorgeous Design a Friend bag and Stationery Set. It was a really fabulous prize. 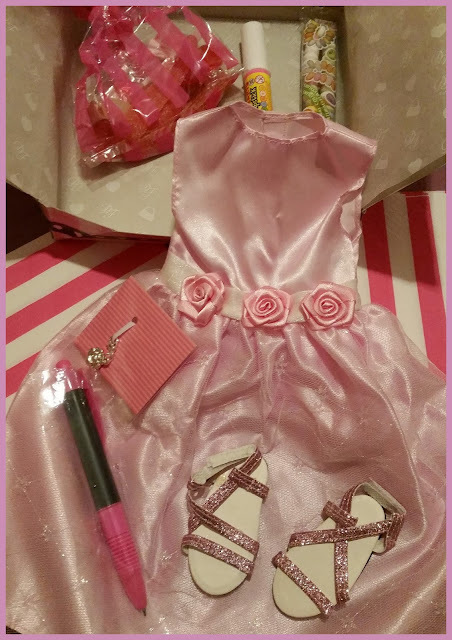 At the end of the party every guest went home with a rather gorgeous Design a Friend Gift Box which contained a Design a Friend outfit, shoes, pen, bracelet charm and a selection of sweets. The girls were very happy with their take home gifts. The Design a Friend dolls received lots of compliments, everyone commented on how pretty they were and how surprisingly soft the bodies were too. The dolls can sit down or stand up straight, their flexibility really impressed some of the girls. I think they were expecting a hard bodied doll, so they were pleased with the hard hands, face and feet but a soft bodied doll. I think Santa Claus will be getting a few more requests for Design a Dolls this Christmas. If I was a few years younger, I would want one of these for myself. Disclosure: Our party was held in association with Design a Friend and UKMumsTV.